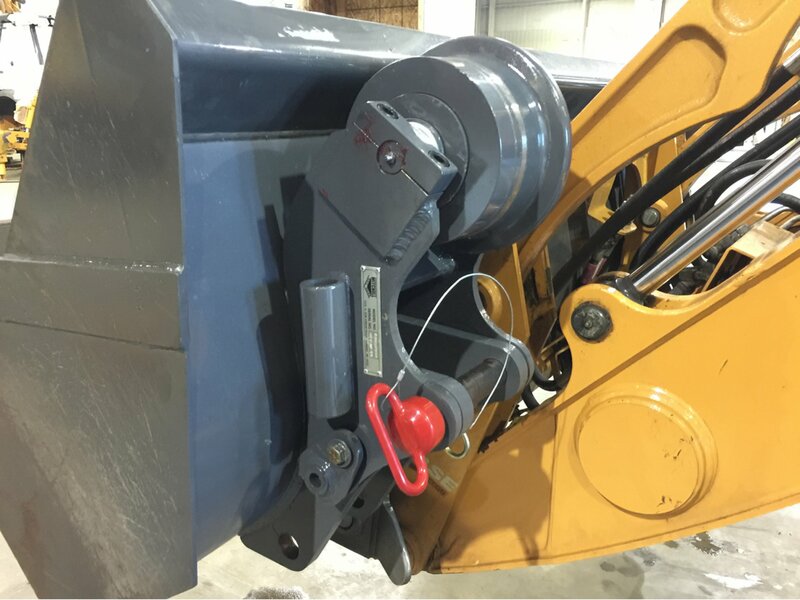 The Backhoe Bucket Rail Gear is adaptable to most backhoe buckets. It simply welds onto the back of a stadard backhoe bucket. 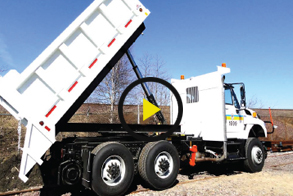 The system uses the Mitchell stadard heavy duty 8 inch rail wheels used on our full Backhoe Tie Switcher system. 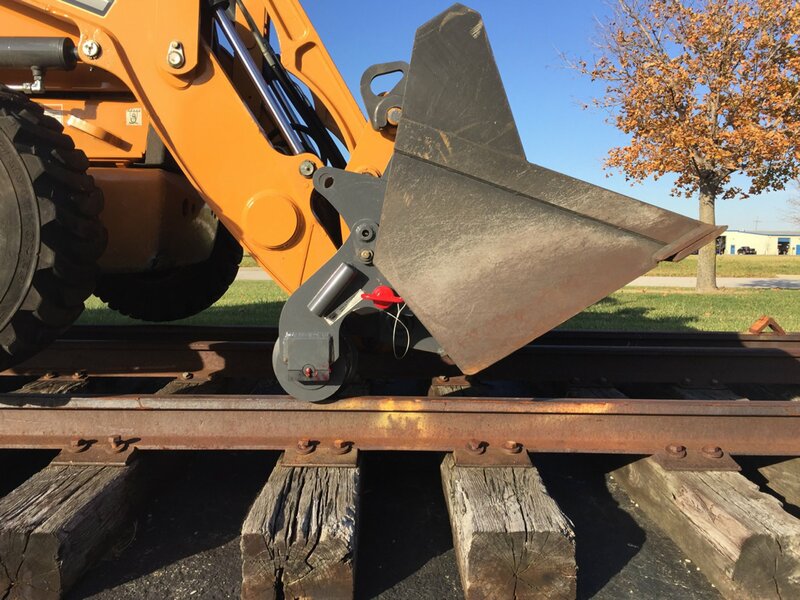 To deploy the rail wheels the backhoe bucket is rolled back and to store the rail wheels the bucket is rolled forward and pinned.